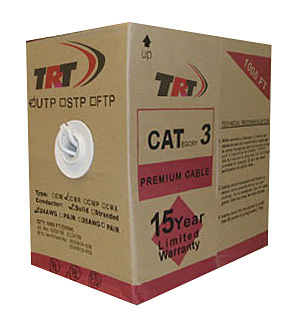 American Tech Supply offers a wide variety of Wholesale 2xRG6U w/CAT 5e, 2xRG6U Coax Composite Cable w/CAT 5e Cable, Coax Composite 2xRG6U with CAT 5e Cables, 2xRG6U Cable with CAT 5e Cable, CA5e Cable from Commscope's 5504M, Belden's Media Twist and Helix Hi Temps's equivalent's CAT 6 enhanced cables.We also have a full range of PVC CAT 6 rated cables, CAT 5e, outdoor rated CAT 5e cable, CAT 6, and CAT 6 Plenum enhanced, Smart Cable, and indoor/outdoor rated cable to suit your needs from several manufacturers. 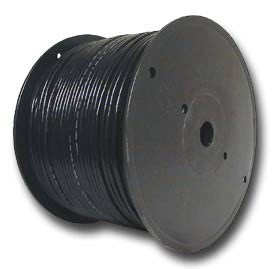 CommScope's CAT 6 cable offers unshielded twisted pair cable technology that is designed to serve the high speed local area network marketplace. 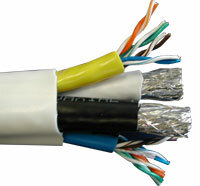 CommScope's Network products are among the highest performing twisted pair products on the market. 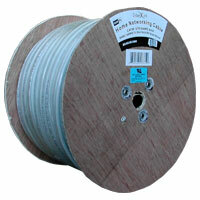 We have great pricing on Category 6 Enhanced -CAT 6 Cable equivalent to the Belden 7852A Cable for about 40% less. Please call us today at (866) 650-DATA.